Switzerland pulled off the most astonishing comeback to book their place at next summer's Finals. Belgium's Thorgan Hazard struck twice inside 17 minutes to leave the Nati needing four goals to top the group. They prised three of them before the break through Ricardo Rodríguez's penalty and two from Haris Seferović. Vladimir Petković's men continued to be relentless thereafter and Nico Elvedi headed them into pole position in the 62nd minute, before Seferović completed his first ever international hat-trick to cap a jaw-dropping turnaround. 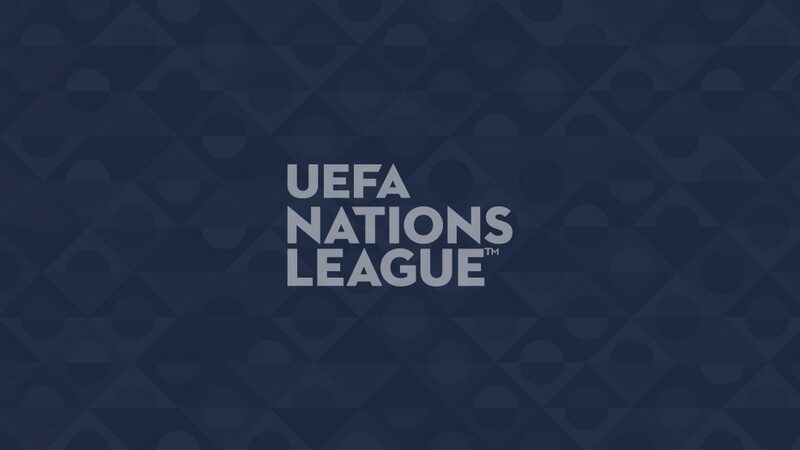 England reached the inaugural UEFA Nations League Finals after coming from behind to beat Croatia at Wembley, in the process relegating the 2018 FIFA World Cup runners-up. The hosts dominated the opening period, only for Lovre Kalinić in the visiting goal to foil Harry Kane and Raheem Sterling. Croatia, who needed to win to reach the Finals, went ahead after the interval when Andrej Kramarić's shot deflected in, but England rallied. Substitute Jesse Lingard tapped in the equaliser, before Kane completed the turnaround, finishing low from Ben Chilwell's free-kick. Valentino Lazaro struck with virtually the last kick of the match to give Austria a 2-1 win in Northern Ireland. After a goalless first half, Xaver Schlager fired Austria in front with a well-taken low strike. Corry Evans' deflected shot levelled matters and ended Northern Ireland's three-game goal drought, but just as it looked as though they would secure their first point in Group B3, Marko Arnautović squared for Lazaro to win it. Hungary secured second place thanks to Greece's home defeat and a convincing victory of their own in Budapest. Ádám Szalai opened the scoring from Zsolt Kalmár's delightful back-flick, before Finland goalkeeper Jesse Joronen was unable to stop Ádám Nagy's low effort from distance, after Nagy himself had won the ball back in midfield. Péter Gulácsi saved twice from Teemu Pukki when the scores were level and the section winners were unable to strike back in the second half. Estonia claimed their maiden UEFA Nations League win thanks to a backs-to-the-wall showing in Athens. Greece dominated the whole game but were unable to find a way through the Estonian defence, and fell behind just before half-time when Vasilis Lampropoulos put Sergei Zenjov's low cross into his own net. Although Kostas Fortounis hit the post with a free-kick and Nikos Karelis was denied with a brilliant overhead effort, the home side were unable to conjure a leveller. Belarus earned promotion with a convincing performance in Serravalle. The visitors dominated possession and created numerous chances, two of which were taken either side of the interval by Stanislav Dragun – his fifth goal in the group – and Anton Saroka. The hosts, who finish bottom, had goalkeeper Elia Benedettini to thank for keeping the score down, as he twice denied Pavel Savitski and tipped two Saroka efforts onto the woodwork. Belarus's win in San Marino meant neither of these sides could be promoted, but Moldova and Luxembourg produced an entertaining encounter nonetheless. The hosts dominated the first half and should have gone ahead, but captain Alexandru Gaţcan volleyed over shortly before the break. Radu Gînsari then did give Moldova the lead, converting from the penalty spot, before Stefano Bensi's powerful strike 20 minutes from time rescued a point for the visitors.